Ryan Balfour Racing :: Balfour 'Stepping it up' on the Gold Coast ! 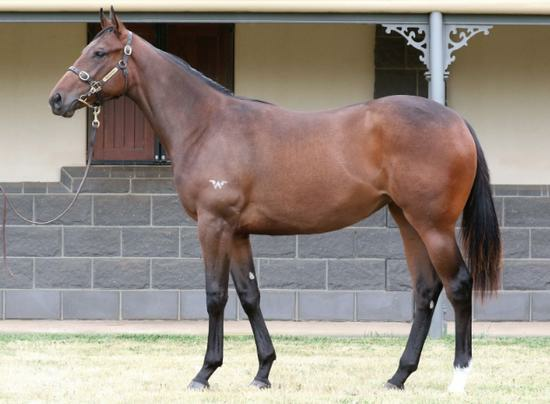 The Ryan Balfour Racing team have stepped it up another notch at the first yearling sale for 2019. 2018 saw Balfour push his highest and largest yearling spend to date and its taken 10 days for the stable to reach higher again in what looks a sign of the trainer making a run a the larger interstate stables. Balfour and clients bought the well bred filly by Rich Enuff out of high quality producing mare Balsamico for $200,000+GST. Spicer Thoroughbreds were the underbidder in a hotly contested purchase. "It's a pleasure to have the support and confidence of clients to purchase at this level. She is a wonderful filly and from a talented family." "Like the 2018 yearling sales, the team have done a lot of homework. We have the support of a growing owner base across 3 states and with exciting horses in our stable such as Kenyan Wonder and L'il Kontra and a serious number of unraced ones soon to hit the track, we are stepping it up." Rich Enuff is Written Tycoon’s fastest, highest rated son at stud. At 1:08.13 – he is the fastest a 3YO colt has run down the Flemington straight six this century. She is the 3/4 sister to MASTHEAD a winner of the INGLIS 2yo Classic.